A pan of focaccia sure can go far around here, we had two appetizer servings and now another with a great grilled salad. 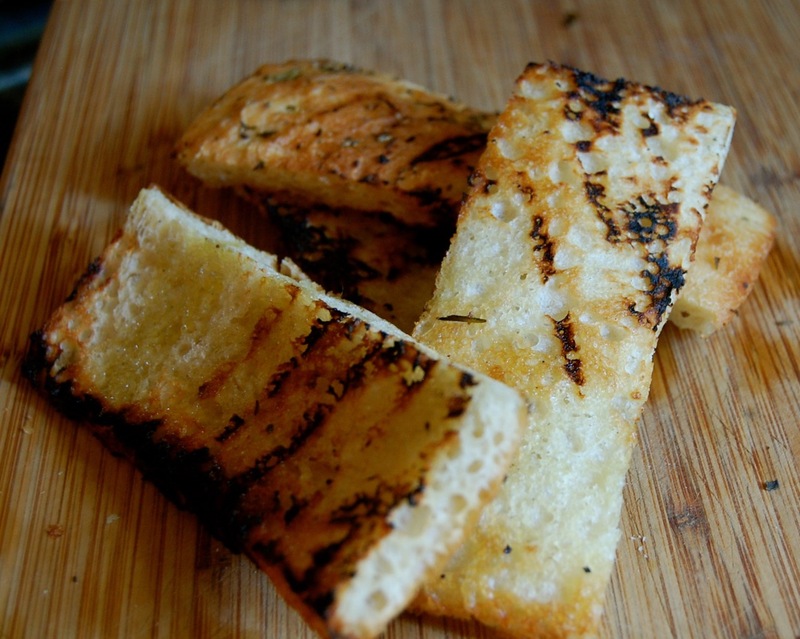 I still have plenty for croutons to serve with a soup or salad and of course it can be wrapped and frozen for another night…I took a wide sliced portion, cut it in half and grilled the focaccia for a few minutes. I’m going to serve the grilled focaccia with a ball of burrata cheese nestled in bowl of grilled tomatoes and asparagus that would be perfect for a light supper or lunch simply arugula, slices of prosciutto and drizzle with EVOO and to take it a step further crisp the prosciutto. I might even add a touch of that wonderful red or white Rosso vinegar over the cheese. Posted on May 26, 2015 by ibbeachnanaPosted in AppetizersTagged burrata cheese, cornbread.